1. This is a promotion by Botley Hill Farmhouse (the Promoter). 2. Present your Complimentary Wine card when dining at Botley Hill Farmhouse for lunch or dinner between 2nd and 31st January 2017 excluding Sunday lunch times to claim your free 375ml carafe of house wine per person dining. 3. Diners must pre-book in order to use the Complimentary Wine card. Cards must be presented at the beginning of the meal. ID will be required for alcohol to be served. 6. The offer is open to all UK residents (aged 18 or over) excluding employees of Botley Hill Hospitality and their families, and employees of any other company associated with the promotion and their families. 7. The Promoter reserves the right to withdraw, modify or cancel this promotion at any stage. 9. It is a condition of this offer that these Terms and Conditions are accepted and presentation of the card at Botley Hill Farmhouse shall constitute acceptance. 2. The winner will receive a three course meal for two people and one bottle of house wine. (The prize to be taken by the date on the notification email - approx 3 months. 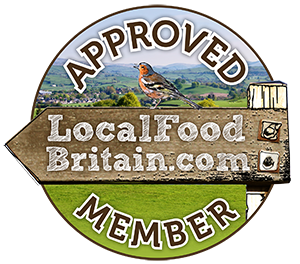 The prize can be taken at any time during Botley Hill Farmhouse's normal food service hours except on Sundays and Bank Holidays and special dates/special menus (and is at the discretion of Botley Hill Farmhouse). The meal must be pre-booked and confirmed with Botley Hill Farmhouse. Reservations are subject to table availability. ID will be required for alcohol to be served. 5. The prize draw is open to all UK residents (aged 18 or over) excluding employees of Botley Hill Hospitality and their families, and employees of any other company associated with the competition and their families. 6. To enter and be eligible to win you must complete all details on the card and hand it to a member of staff at Botley Hill Farmhouse. No purchase is necessary. 13. Winners agree to participate in any post draw publicity if requested. The name and Town/City of the prize winner will be shown on the Botley Hill Farmhouse Facebook and Twitter pages. 14. If you do not wish to be entered into the draw, please email enquiries@botleyhill-farmhouse.co.uk detailing your name & email address.